This standard sets a height limit for mid-rise buildings, and this limit is equal to the width of the right of way. The city defines mid-rise buildings as buildings that are six storeys or higher, but not higher than the right of way on which they are located (this would move them to a High Building category). The guidelines were not so much intended to limit where tall buildings can be developed, but allow dense non-high-rise development in areas where it was not previously allowed (and set up the rules for them). There is however clear policy where tall building are appropriate, and the guidelines don’t provide a real answer to the question why they are not appropriate on Avenues. The only rationale for the height limit is that going over this limit moves a building from a Mid Rise category to a Tall Building category. But does it make it a less appropriate solution for the Avenues context? The rationale for the front of the angular plane is to preserve a certain amount of sunlight on the sidewalk opposite to the building, specifically 5 hours per day between the spring and falls equinoxes. A study from 1990 cited in the guidelines found that in order to achieve this goal in a few case studies (east-west and north-south streets on the Toronto grid), the buildings can go up to a height of 80% of the right of way, then step back to be contained within a 45 degree angular plane. Now let’s accept the assumption that guaranteeing five hours of sunlight at these dates is the best criterion, simply because any decision about such criteria would be subjective without a huge amount of data. First, the angular plane would not be valid for buildings on the north side of east-west streets, and on diagonal streets. Moreover, the writers of the guidelines admit that “even though five hours of sunlight can be achieved through different tools”, but still recommend applying this standard consistently in all cases “in order to achieve a consistency of built form along the Avenues”. 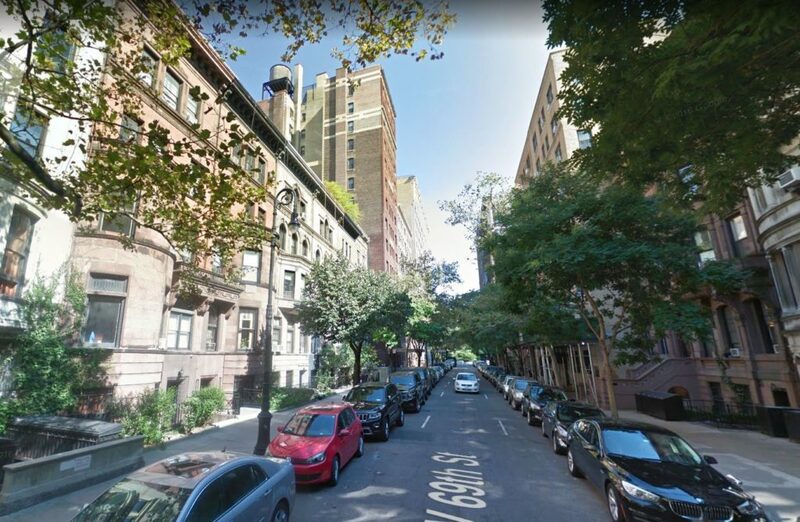 Now on the one hand, this is quite forward looking, anticipating a future where whole stretches of the Avenues have been redeveloped to mid-rise form, and consistency is an issue. However, the consistency argument is weak for a few reasons. 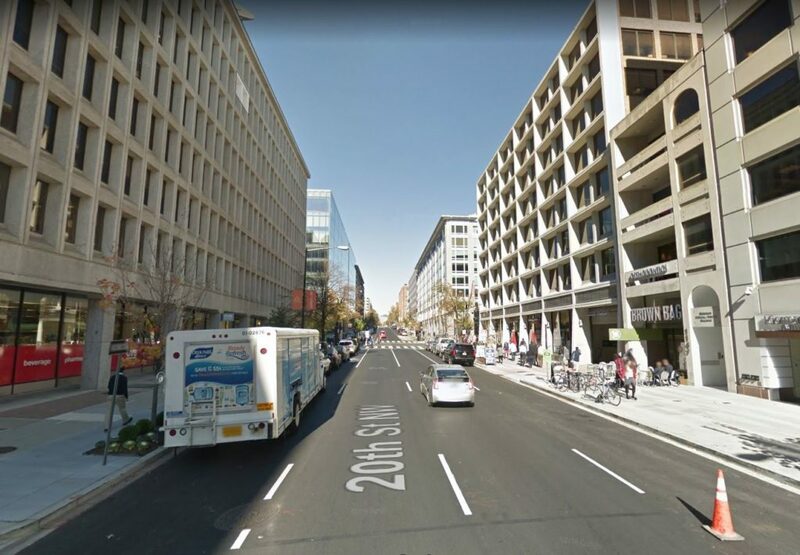 First, as the guidelines suggest in other another section, some lots are too shallow too reach the full height of the Right of Way, which means that the buildings along the Avenues would not really be consistent. We think this implies that to the extent that the consistency argument is important, then since the buildings would differ in height, it would actually be more important to have a consistent base height, but the guidelines do not require that. Second and more important, because of parking requirements, only a very small percentage of the lots along Avenues are wide enough to be redeveloped into Mid-Rise form. This means that in most cases, consistency would not be relevant because mid-rise buildings would only occur occasionally. But what about these other ways to achieve enough sunlight? We will discuss them later in some alternative design solutions. One caveat: even though the angular plane approach is not necessarily the most effective to preserve sunlight, it can make sense as a consistent approach for preserving sky views and guarantees that the sidewalk enjoys daylight throughout the entire year even if it’s in shadow or if the sun is not shining. This does not mean that angular planes are the best way to achieve this goal, especially with limited development but it is an important goal that the angular planes happen to achieve. This standard required that buildings above 23 metres (generally 7 storeys) have a step back beyond what is required for sunlight, to avoid a street-wall higher than 6 storeys. While it’s debatable if a street wall higher than 6 storeys is overwhelming (see for example the image below, we think it’s reasonable enough. 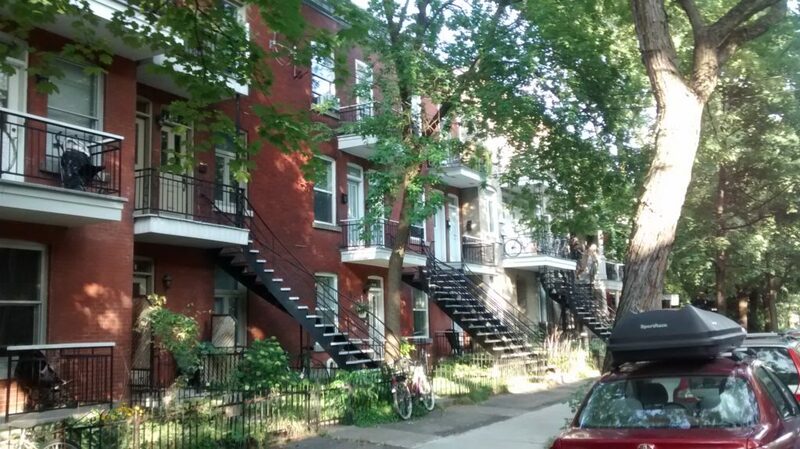 Residential street in Montreal; Balconies generally improve streets. Good balconies in mid-rise buildings are especially important from a city-wide perspective, since in tall buildings balconies on the higher floors are often not useable because of strong winds, while in mid-rise buildings wind is not an issue and balconies help to add life to the street. Since mid-rise building are supposed to be part of the middle ground solution, actual good amenities are important. In addition to stepping back in the front, there are additional and more restrictive provisions for setbacks and stepping back at the rear of the buildings when they back to parks and open spaces and to areas designated as Neighbourhoods (practically single family houses). The second reason is to provide a “transition” in scale to the Neighbourhoods. This idea of gradual transition is prevalent in the guidelines and in other city policies, without ever being fully explained or justified. Simply put, the thinking behind it is that it is uncomfortable when large or high buildings are adjacent to smaller buildings. This idea by itself is debatable (see example below), but the solution itself, of creating a very gradual transformation in scale moving at a 45-degree angle from the low to the high, is a bit simplistic. It is also pretty much unlike any other city has ever solved this problem. “Abrupt” transition between low and high buildings. It works just fine. This standard requires that to not create situations with very high blank side walls, buildings with more than six storeys are must have side setbacks sufficient for windows (windows are allowed with a minimum of 5.5 m setback) from the same height as the first front step-back (at 80% of the Right of Way width). Beside limiting blank walls, this standard prevents a “Canyon Effect” by introducing opening between buildings. We will later explore how an expanded use of side setbacks can encourage better buildings. To not negatively impact the public realm, balconies are not permitted at the first three storeys, and on the 4-6 storeys they should be inset within the main building walls. Balconies should also be contained within the angular planes. In addition to the form based guidelines that disincentive developers from providing balconies, this requirement actively prohibits balconies at the lower three floors, and limits the width and design of balconies at the next three storeys. This is in my opinion an extreme case of overvaluing the (imaginary) public interest over private interests: the benefit for the streets users of buildings not having balconies is null if not negative, while the benefits for residents of having outdoor space and for the city in promoting a good housing stock are significant. 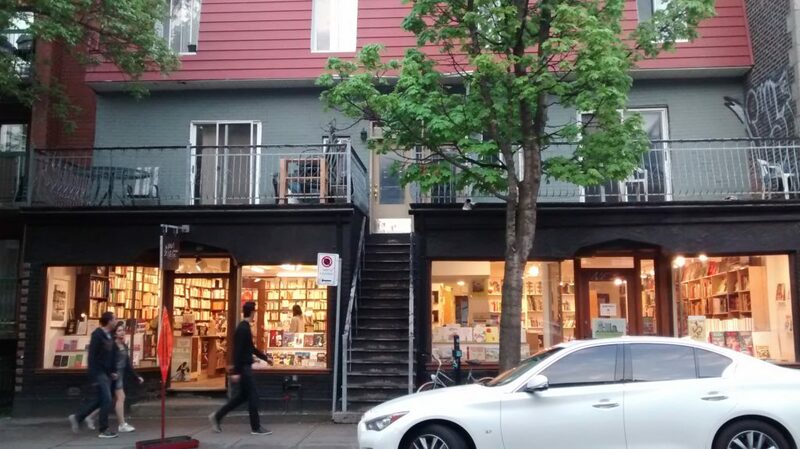 One simple solution is to roll back these parts of the policy and start requiring front setbacks above the retail floor to accommodate balconies. Even with small setbacks, the buildings would still create a sense of enclosure at the street. This change would also fit better with the setbacks common in most Toronto neighbourhoods. The ground floor goes to the street line, the residential storeys above are set back.